Getting these things out felt like field dressing a deer. Just keep cutting and pulling until you get everything out. Dying!! Lol!! Thanks man!! They look awesome on there. Those things look great! I look forward to your performance review. I got to ride with last week and they are great. There were a few unexpected benefits. First you drag your rear arms way more than you think. All the mud packed on top the arms that I though was falling off tires is really getting shaved off the ruts by the arms. The other Wolvy had it's arms packed solid and CV's were buried in mud and all I had was a few splashes. The mud that does make it in don't have many places to lay. Maybe I wont go through 5 boots this year. 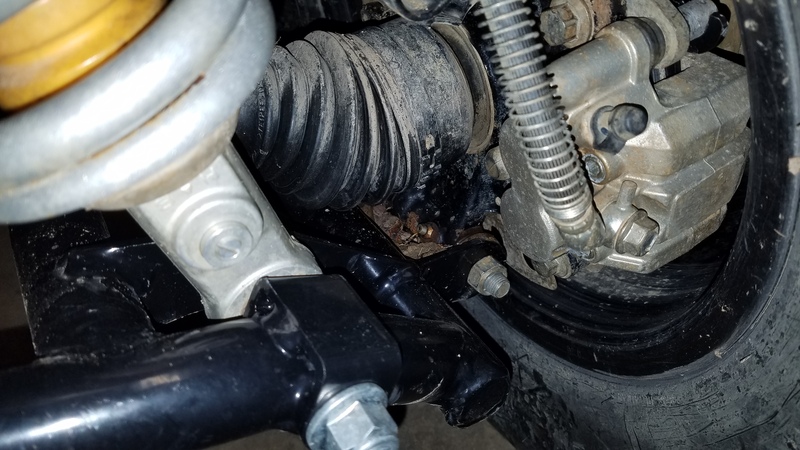 Next, look at those grease fittings. Third. They changed something in the rear for the better. Either the geometry is different or I had something binding. 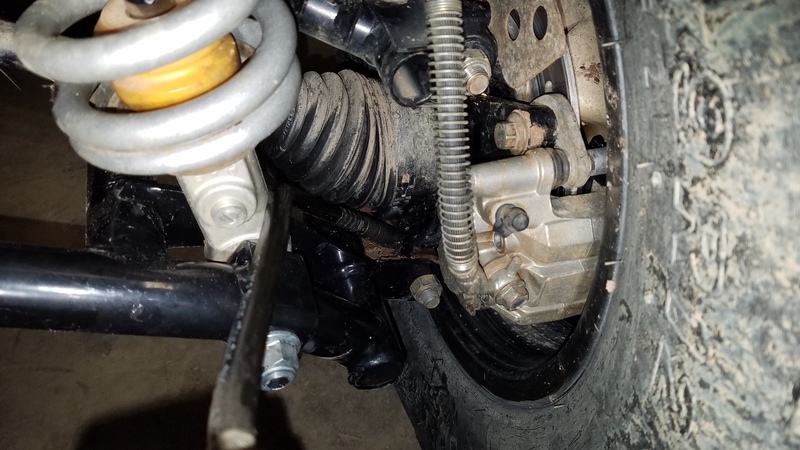 The JBS rear springs made it way stiffer then stock and the rear was just bouncing over stuff. It was getting very annoying and it's gone. The clearance was great as expected. We had lots of downed trees that I could straddle while others had try to squeeze around. We even came upon the proverbial bucket it the trail that someone had been using as stool hunting season right at the top of the a hill in the middle of trail. I cleared it, the next guy exploded it. Budro2 and SuperATV like this.